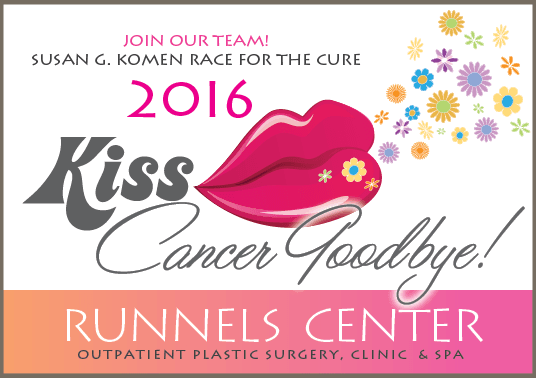 Join Runnels in the Race for the Cure this Saturday. We’re thrilled to announce that Team Runnels is gearing up for this weekend’s 2016 Komen Central Mississippi Steel Magnolias Race for the Cure. Adding to more than a decade of racing in support of a cure for breast cancer, Dr. Scott Runnels joins his staff and a long list of survivors. Please join us in the fight against breast cancer by attending this year’s race, which will be held on Saturday, April 9 at the Old Capitol War Memorial Grounds. You may also contribute by making a donation at the link above.